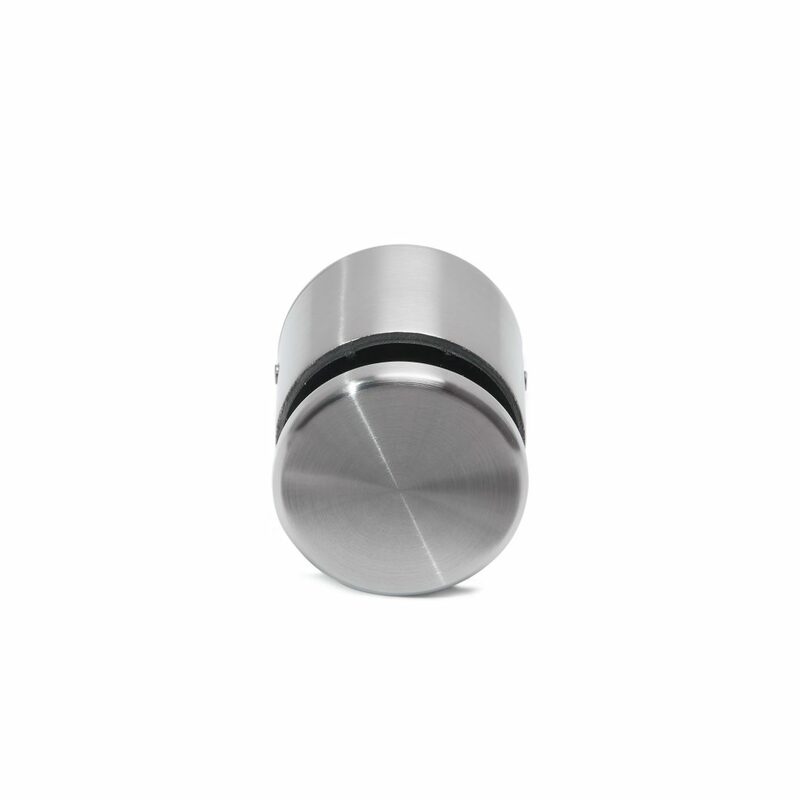 Made from the most corrosion-resistant stainless steel in the industry, the 2” Round Standoff Pin elegantly projects your glass panel away from the wall. 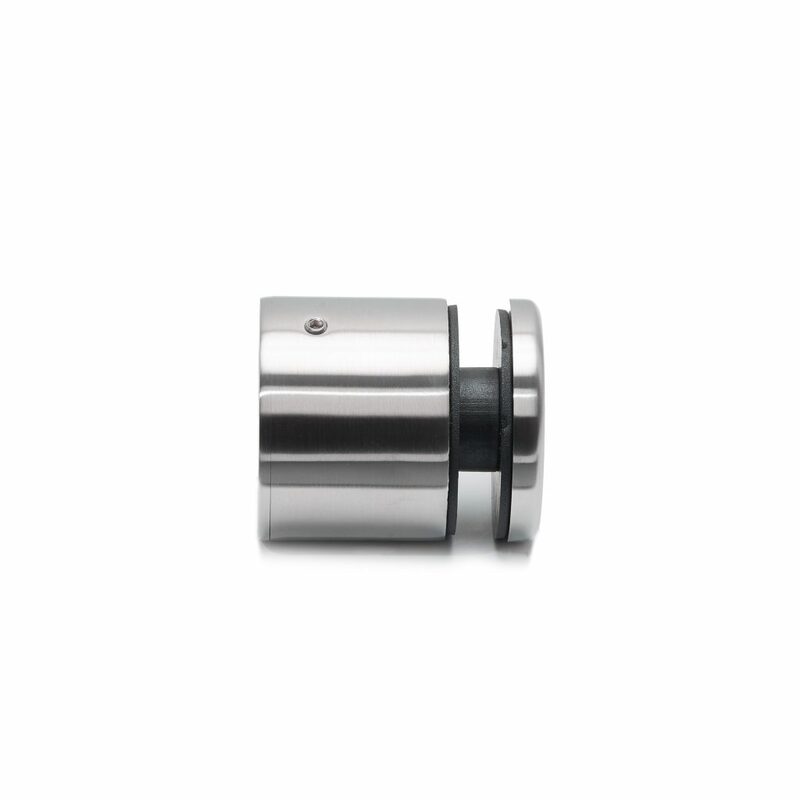 With a slightly different design aesthetic from the sleek Side Mount Talon Spigots, these pins are a great alternative for both indoor and outdoor projects. Polished, powerful, discreet. Pay attention to the details with the Round Standoff Pin System, and get lost in your beautiful view. Note: Standoff Pins are used to mount glass panels, not attach handrails to the glass. 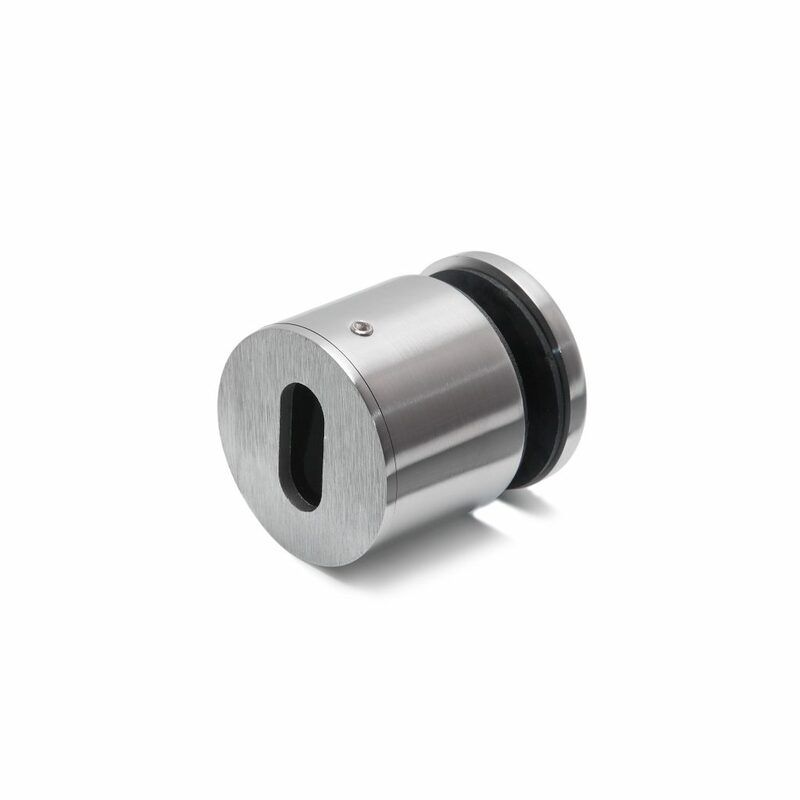 2″ Round Standoff Pin made from 2205 Stainless Steel. 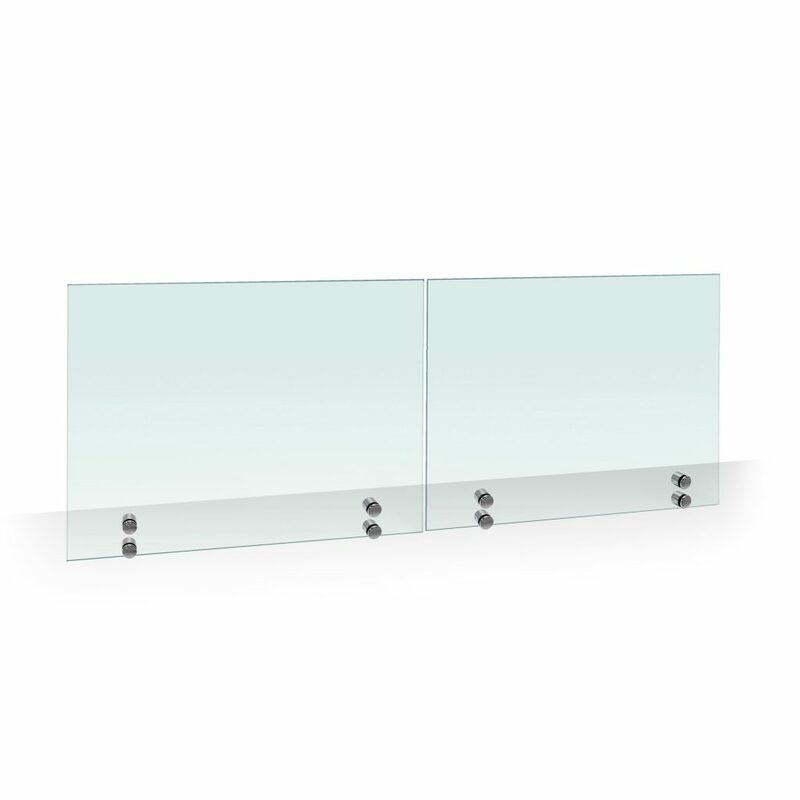 Standoff pin projects your glass panel 1 5/8″ off the wall. 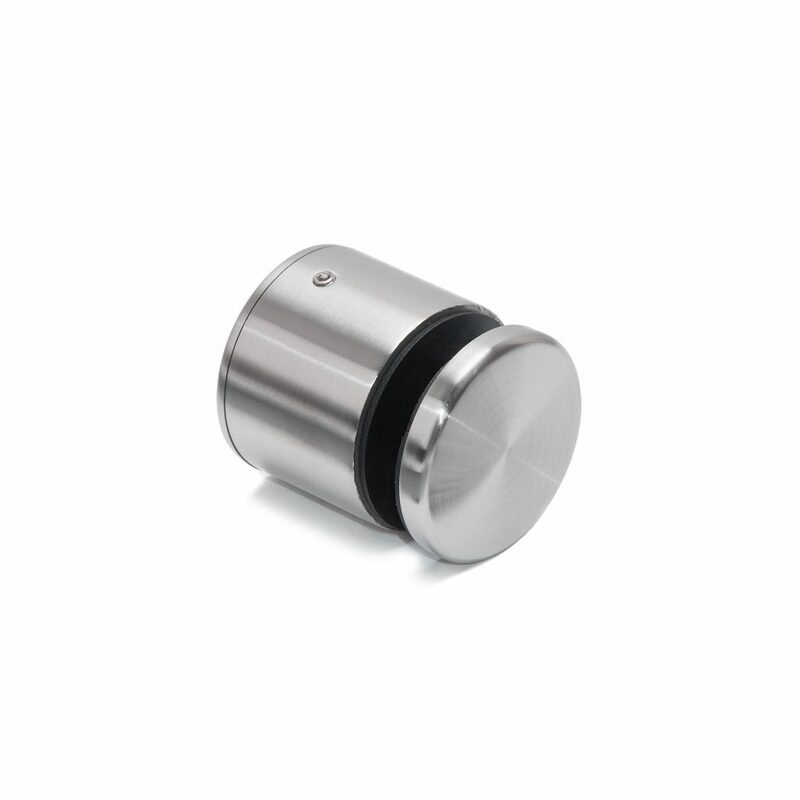 Requires 9/16″ laminated glass, with a hole pre-drilled for the pin to pass through. Can be used to mount glass panels up to 4 feet wide. Requires 4 pins per panel. 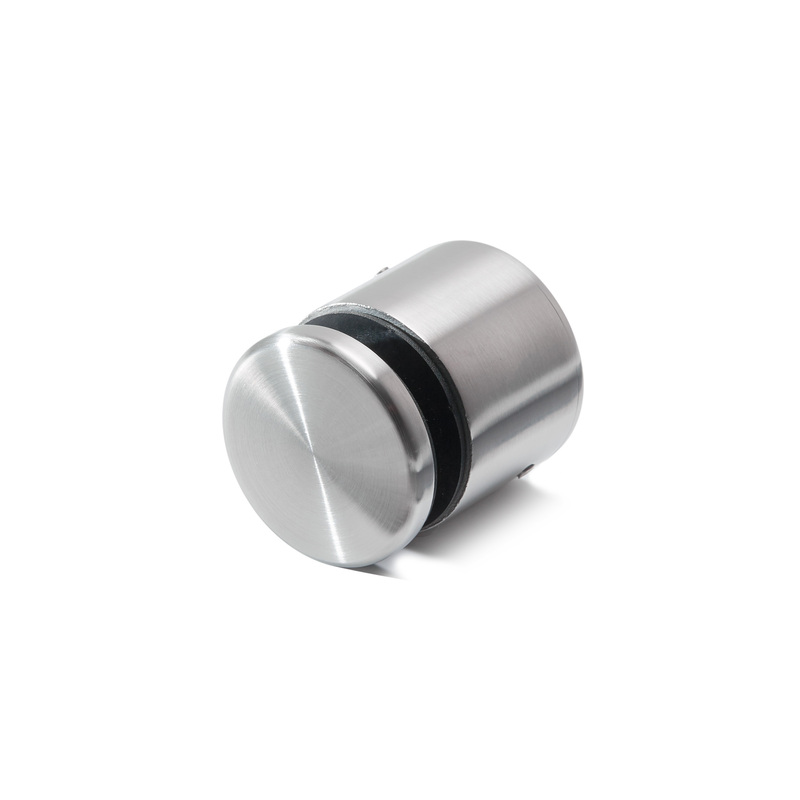 For best use, install the 2” Round Standoff Pin on a wood surface. Pair it with 9/16” thick laminated glass: each 4’ long panel must have 4 pre-drilled holes for each pin to pass through. The pin projects glass panels 1 ⅝” from the mounting surface. If you plan to use these with treads, you will need 2 pins on every tread, and the tread will need to be at least 3½” thick. Are there any pictures that show this stand off in use? We are designing a project that will have glass railings. Unfortunately, we do not yet have completed project photography for this product. 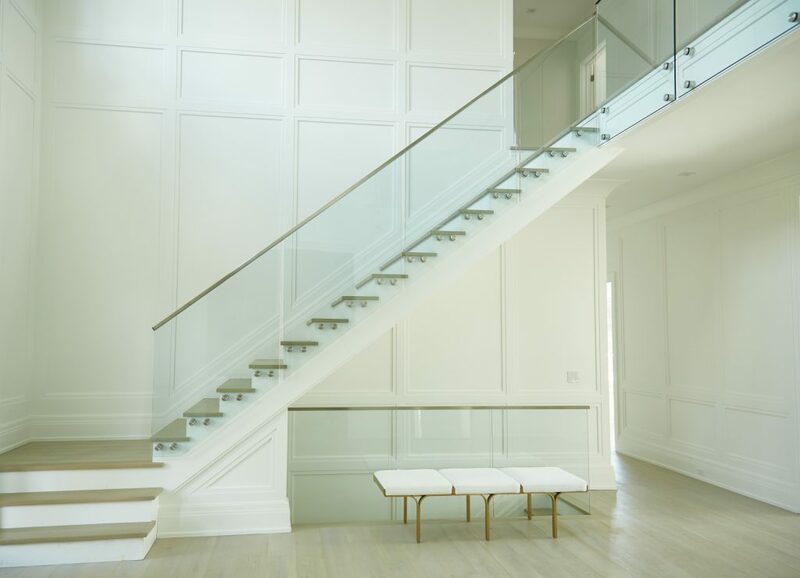 If you have additional questions, please give our team a call at 1 (866) 226-6536 and we’ll get you in touch with a glass railing expert to better answer your questions. 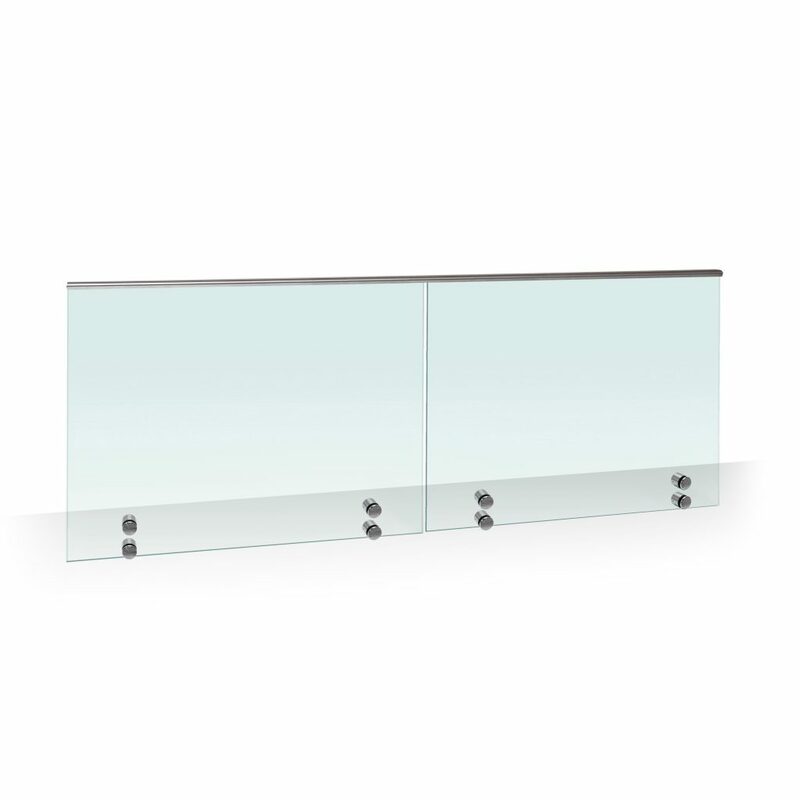 Would it be safe to use 88″ glass panels if there were three sets of standoffs? Thanks for your question. We can only recommend what we have confirmed with our own, in-house testing, which is 48″ panels. I would highly recommend consulting with your architect or engineer if you would like to use an application outside of our specifications. If you have any additional questions, don’t hesitate to call one of our specialists at (866) 226 6536.